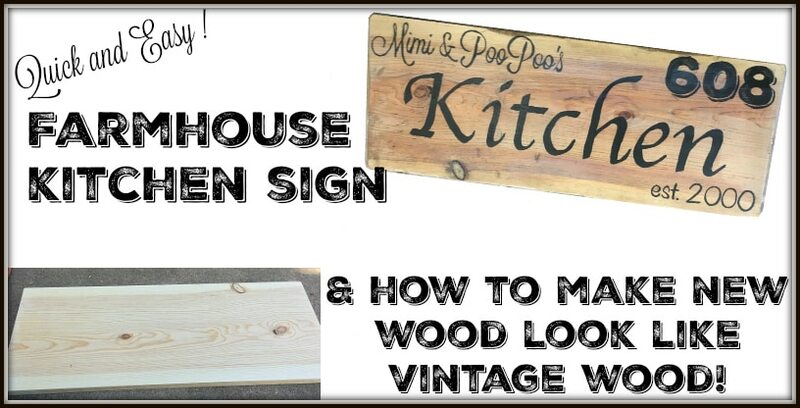 Farmhouse Sign & Make New Wood Look Like Vintage! Hi and welcome back! 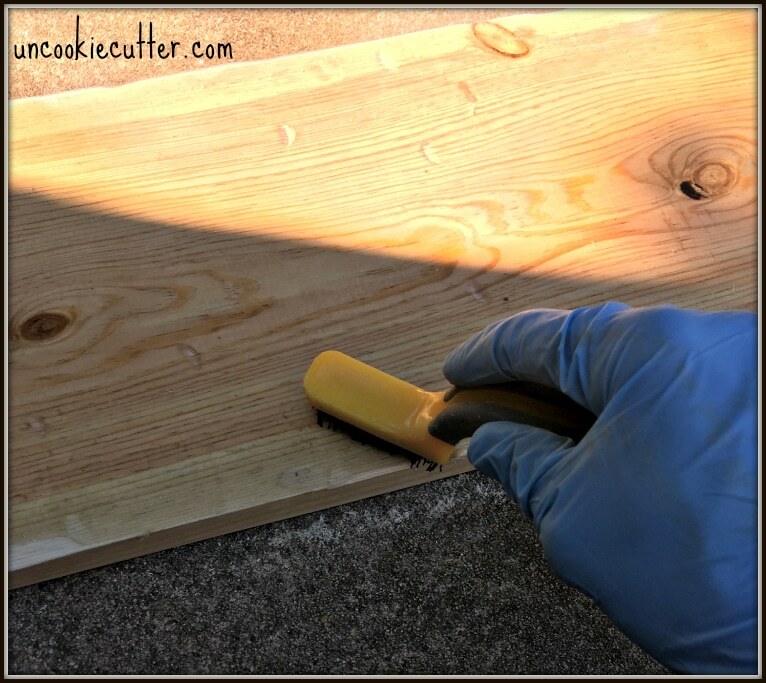 In case you are still wondering, I am knee deep in my bathroom remodel still, but I wanted to share this quick and easy little project with you guys. 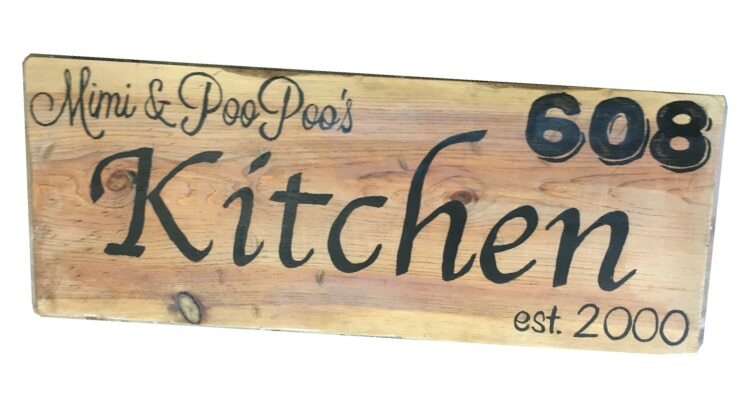 My mom asked me to make a sign for her kitchen that said “Mimi and Poopoos Kitchen”. For some reason, my mom had a hard time finding a sign that said that and yes, you read that right-the grandkids call my dad PooPoo. This is his doing and he and the kids think it’s hilarious. Anyway, I wanted to show how I whipped it up this easy farmhouse sign for only a few dollars. Back in August, I went to a blogger conference and my mom watched my kiddos for us. When we were visiting she asked for a farmhouse sign for her kitchen. I just now got around to it. I like to pretend like I’m super important and busy and don’t have a spare second, but in actuality, I should have gotten this done before now. Either way, sorry it took so long, mom! 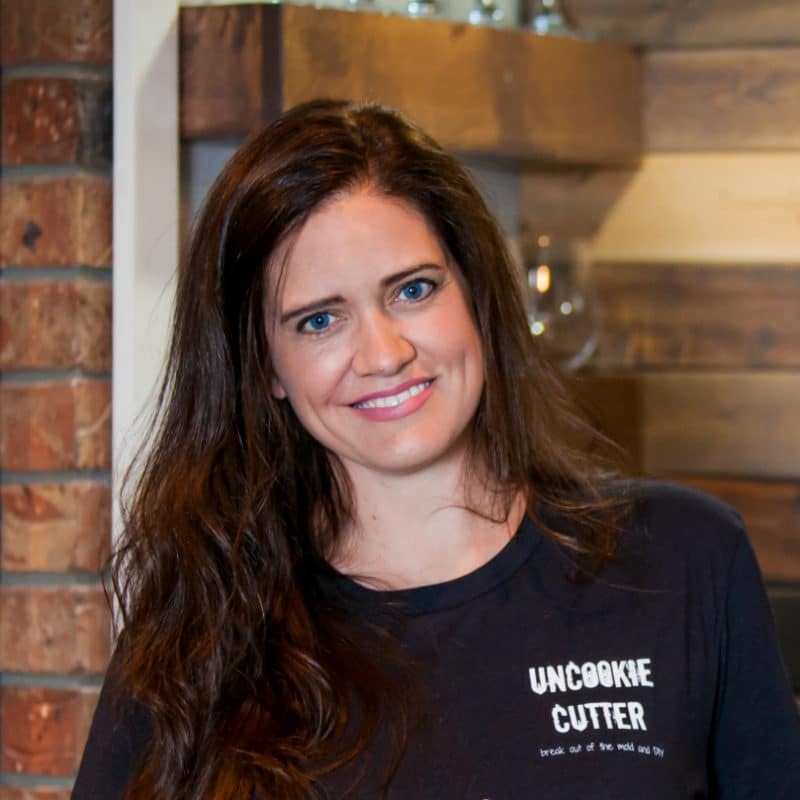 At the conference, we get all kind of fun stuff to try out and one of the bits of swag we received was Amy Howards Better with Age Vintage Wood in Salvaged Timber. It says you can get the vintage look without the wait. So, of course, I couldn’t wait because of aforementioned importance I was feeling really guilty I hadn’t finished this yet. 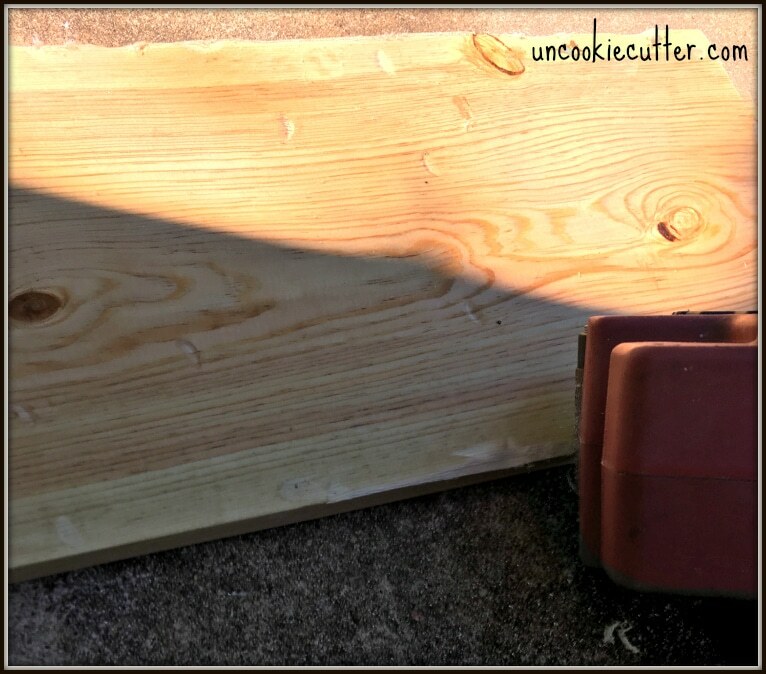 I got started with a leftover 2×10 from my dog bed I had just made. It was the perfect size that for the spot she wanted to put it in. I stirred it up and put the first coat on with the rough side of a sponge. It said to use a hard bristle brush, but I didn’t have one so I tried this. It looked pretty cool after one coat, but I wanted it to look a little more vintage-y. So, I used my belt sander to beat up the edges. And I knocked some holes in it and hit it with a hammer and chisel a few times. Then, low and behold, I found a little hard bristle brush! Sometimes it’s the little things in life. I don’t’ know where this came from, but I used it to help get the stain into all those little knicks I just gave it. Then, a few more holes. 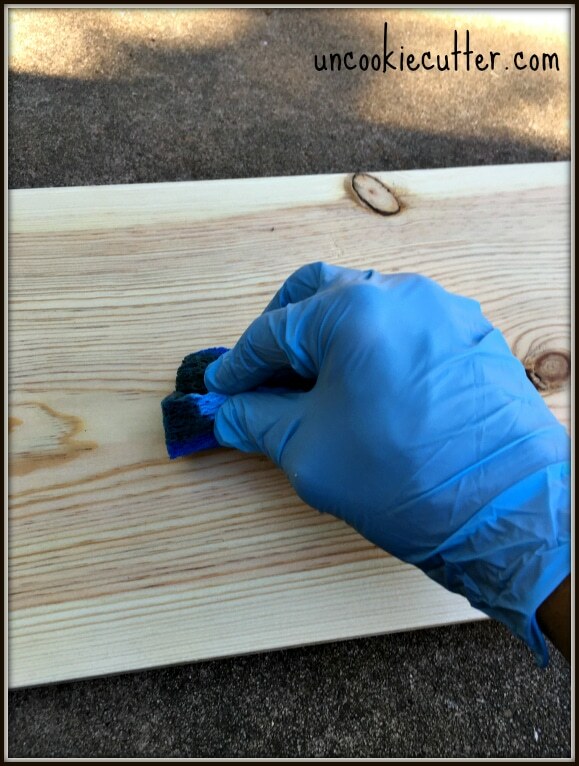 Look how cool that stain makes the wood look! 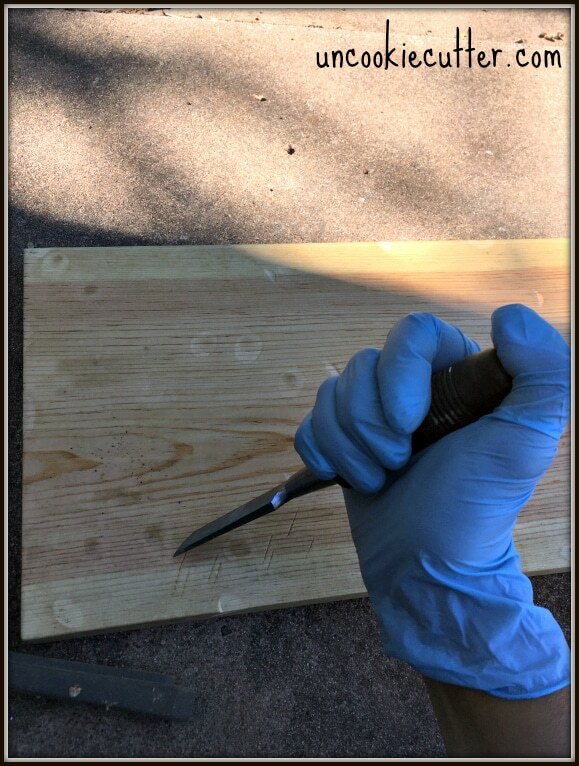 So, now my piece of wood was ready and so I needed the words. I started by designing what I wanted in PicMonkey. HERE is a handy dandy chart that you can use to figure out your pixel-to-paper sizes. I think if you multiply the size you want by 300 then you get the pixel size. Start in “design” in PicMonkey, head to “resize” then enter the pixels. Then I just played around with the letters until I liked it, and put their house number on their for an extra touch. I could have printed this out at home on a couple of pieces of paper, but since I wanted it all together, I sent it to Staples, where it cost $3 to have them print it out. Look under their “engineering print” options for super cheap, low-quality prints that are perfect and cheap for this kind of project. 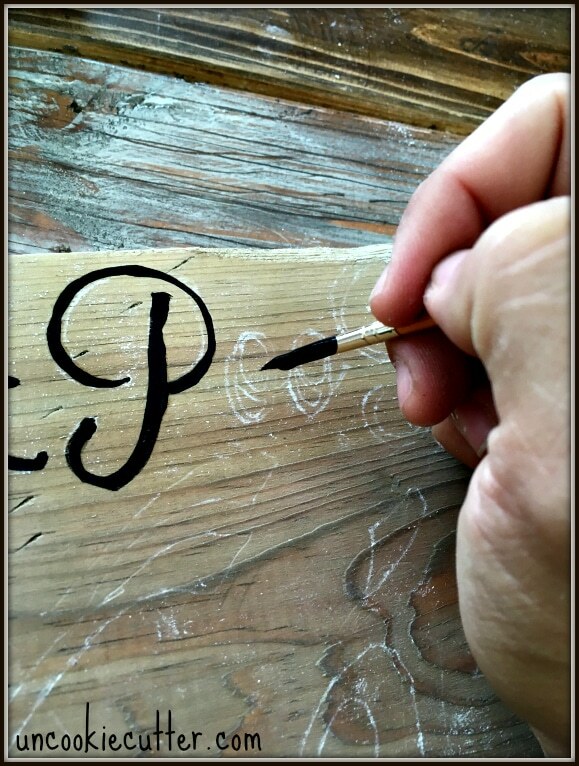 Next, I used the chalk transfer method to trace the letters onto the board. Read how to do that, along with two other easy transfer methods by my friend Jenny over at Refresh Living HERE. Then I just painted on using an acrylic paint I had leftover from something or another. Then two coats of Polycrylic and done! Easy peasy. I’ll have to get a picture of it in her kitchen next time I’m there, she tried to send me a couple, but I couldn’t get them to look “right” so I’ll update when I do get one. Anyway, that’s it! 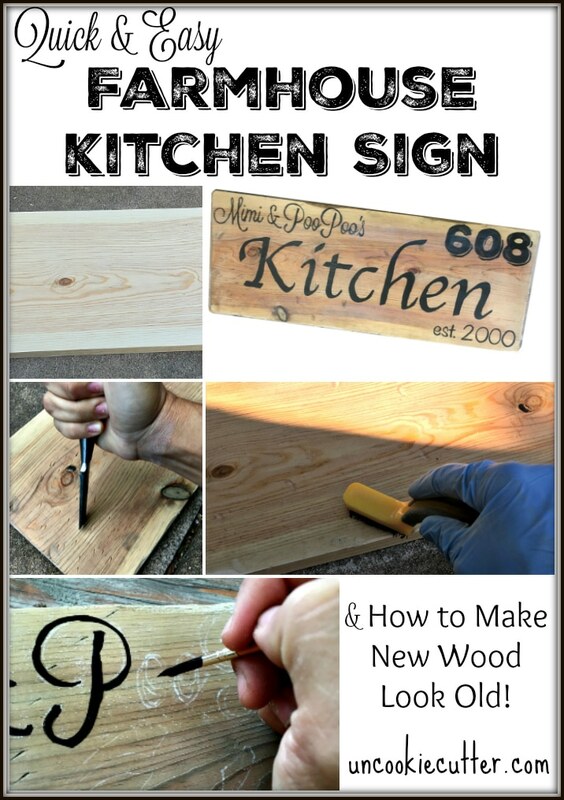 A quick and easy farmhouse sign. 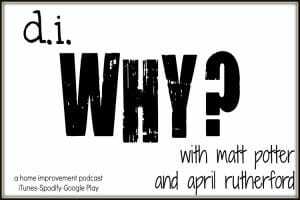 Ask away with any questions and let me know if you worked with Amy Howards Vintage Wood before becasue it seems pretty cool. This is really too cute April! I love the weathered look! Love the weathered look – and this turned out so cute! This is something I would love to make for in my kitchen… perfect! Sharing for sure! I thought it was pretty cool! 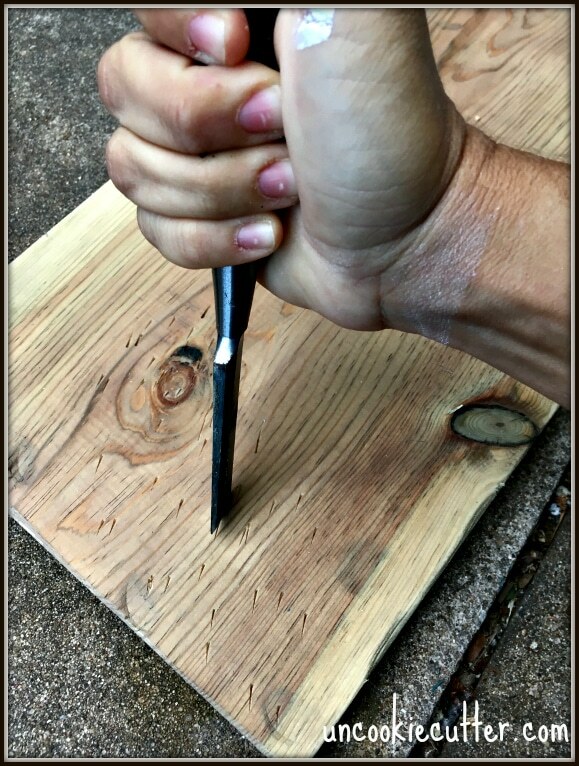 I need to try that Vintage Wood stuff. Oh the possibilities… and your sign turned out awesome. Pinned! This is great! I really like the weathered look to it. 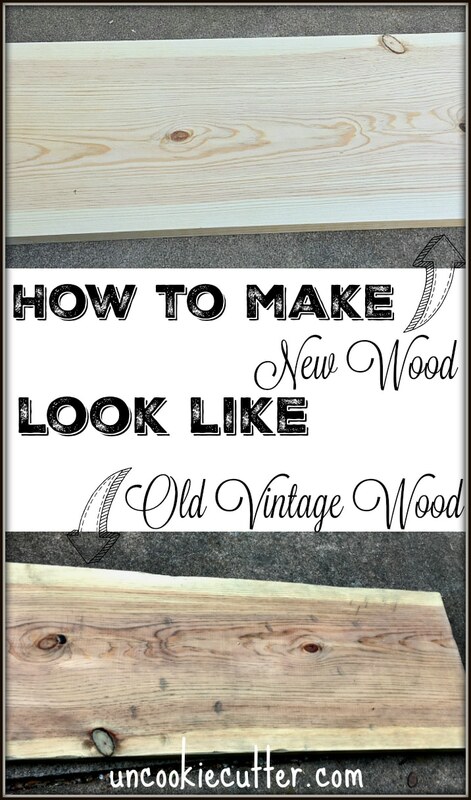 I need to try some of that vintage aged wood stuff! 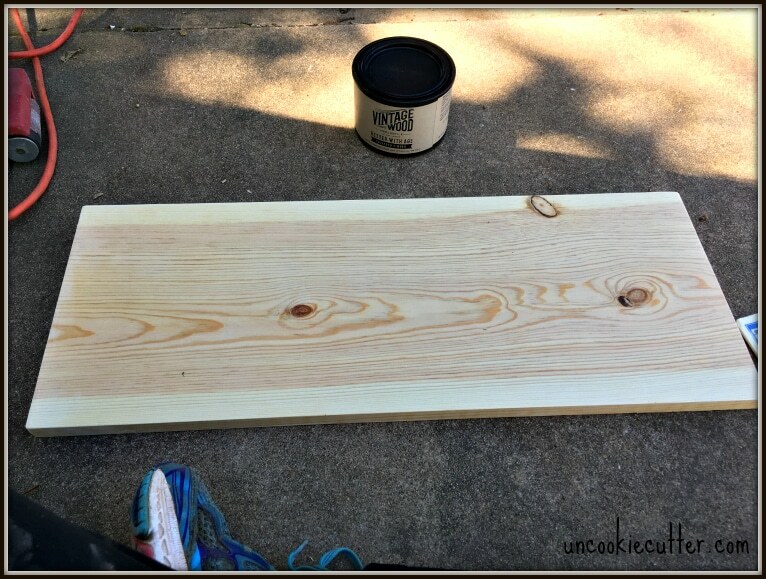 It really transformed the wood, even before the distressing. I love how it turned out! I know, it worked really well! Thanks for stopping by Sarah! I love the weathered look! What a cute sign!